Equipped with all the latest design features and its commitment to quality, Esco Labculture Class II Type B2 biosafety cabinets ensure operator, product and environmental protection against microbiological agents and chemical fumes. 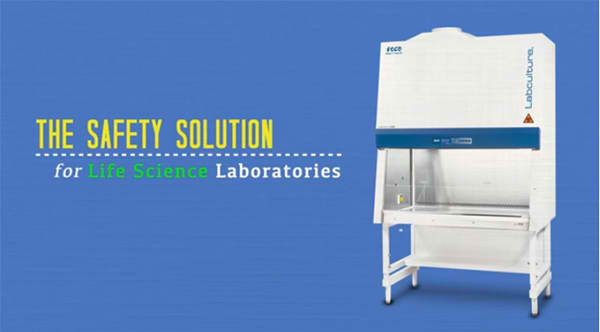 Esco Labculture Class II Type B2 biosafety cabinets are designed to provide operator, products and environmental protection in experiments where recirculation of filtered air is prohibited due to chemical fumes emitted during the process. These fumes cannot be captured by filters and will be harmful to the operator if re-circulated in the laboratory space. Hence, Class II Type B2 cabinets have to be ducted to an external blower for total exhaust. Moreover, it is suitable for experiment involving work assigned into biosafety containment levels 1, 2, and 3. It is our most certified biological cabinet, and it can be right at your fingertips. Ensure your safety by choosing superior performance and superior quality. Choose Esco.